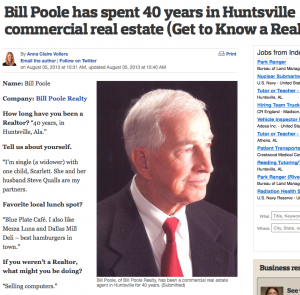 AL.com, “Bill Poole has spent 40 years in Huntsville commercial real estate”. Copyright © 2019 Bill Poole Realty. All Rights Reserved.